Editorials, opinions, blogs, columns and reader submissions from the @washingtonpost opinion section. We do not say so lightly. We have not opposed a Supreme Court nominee, liberal or conservative, since 1987. 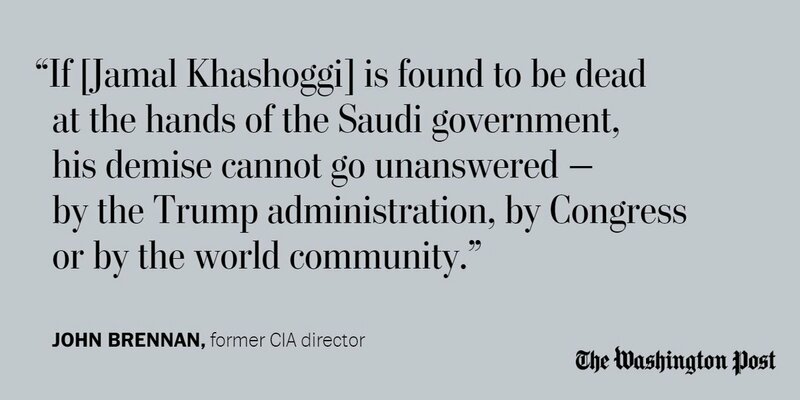 The Saudi “investigation” of the disappearance of #JamalKhashoggi does not exist. “To wink at racism or to condone it through silence, or false moral equivalence, is no better and no more acceptable than racism itself."